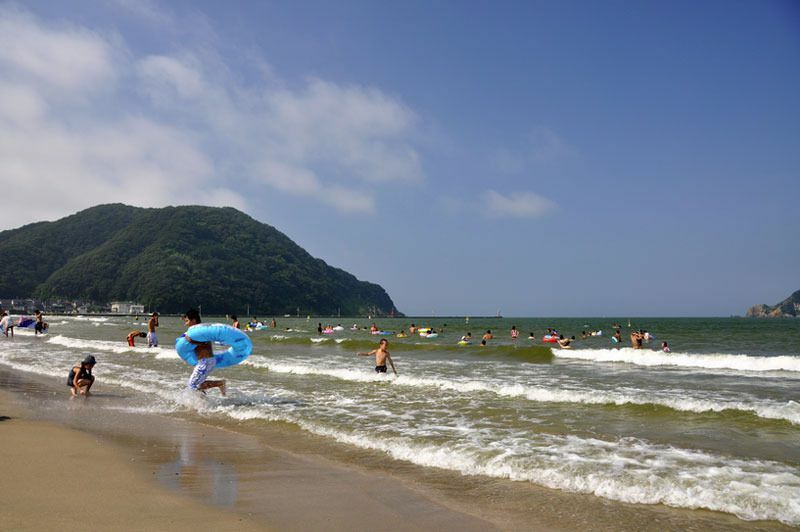 There are two beaches near to Kinosaki which can be easily reached via rental bicycle or train, Takeno and Kei no Hama. There are lots of places to stay at both beaches, and many tourists flock there during July and August to enjoy swimming in the crystal clear waters. For more information on the towns located along the coast, click on the links below. With clear, transparent waters and 1km of white sandy beach, this is the perfect spot to take a dip in the sea. The station nearest to the beach is JR Takeno Station, located just one stop from JR Kinosakionsen Station. 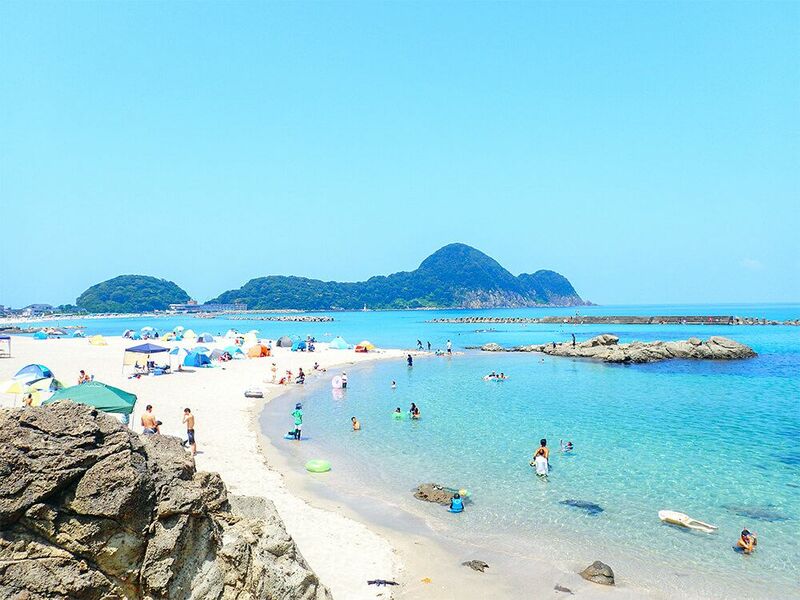 Kei no Hama has wide, white shores and clear waters perfect for swimming. The beach can be easily accessed from Kinosaki by rental bicycle, takes about 20 minutes on bicycle. The official beach season is from mid July to mid August. But the waters are warm enough for swimming from June to early September. Sorry, but only Japanese is spoken.